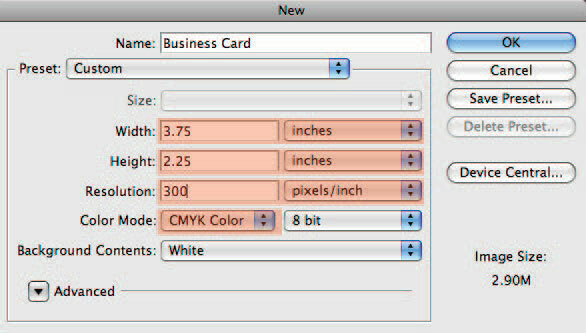 Set the Width & Height of your artwork to the bleed size of the product you are creating. 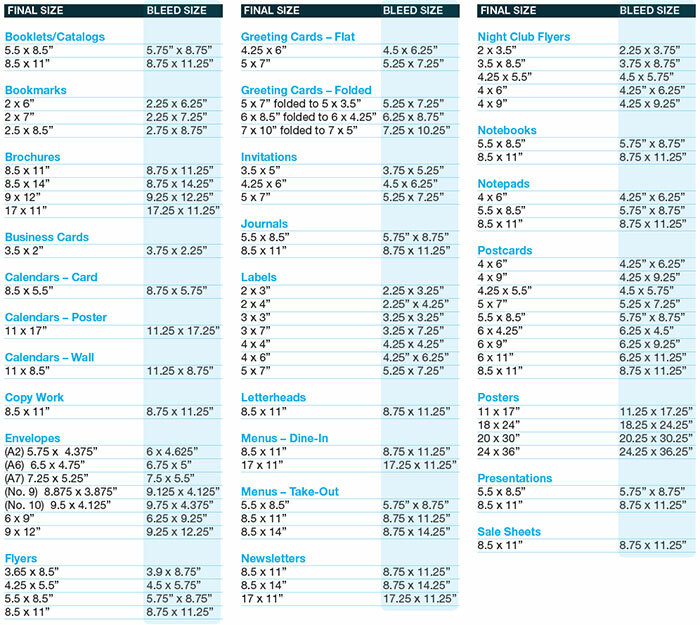 You can refer to this table for a quick list of product sizes and the bleed size to submit. Enter a filename for your design. Select TIFF (*.tif) as your filetype, or you may also save your files as a JPG. 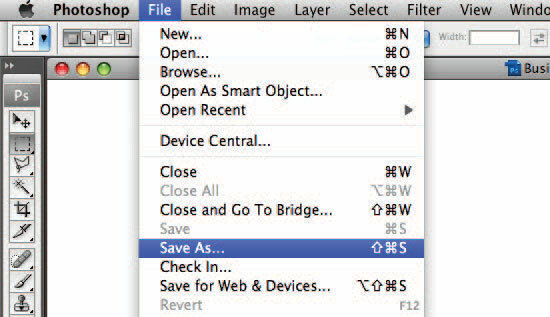 Uncheck the Layers checkbox, so that your exported artwork is flattened. Flattening your artwork ensures the appearance of your layers is preserved. 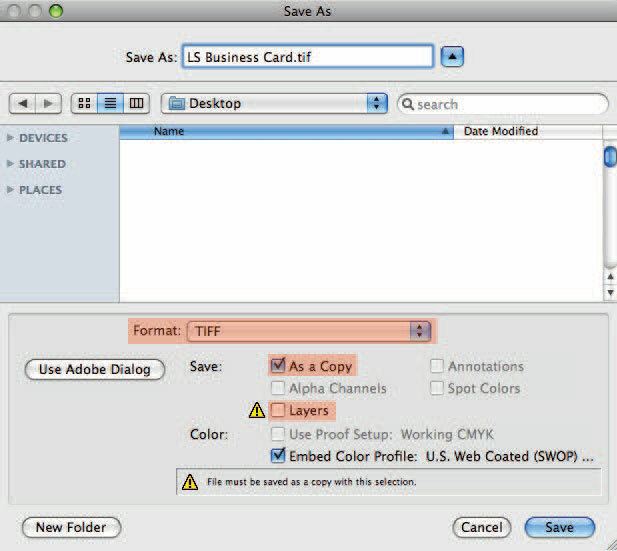 Save the flattened artwork with a new filename. This will ensure you do not overwrite your layered source file.